Mariner of the Seas has just undergone a multi-million dollar refurbishment as part of Royal Caribbean International’s amplified program. So, the Princess was able to convince me to take a cruise on this newly updated vessel which is now offering 3 and 4-day cruises from Miami, FL. Even though we only had a few days, we spent every moment exploring and testing out all the new features. What did we think of all the changes? 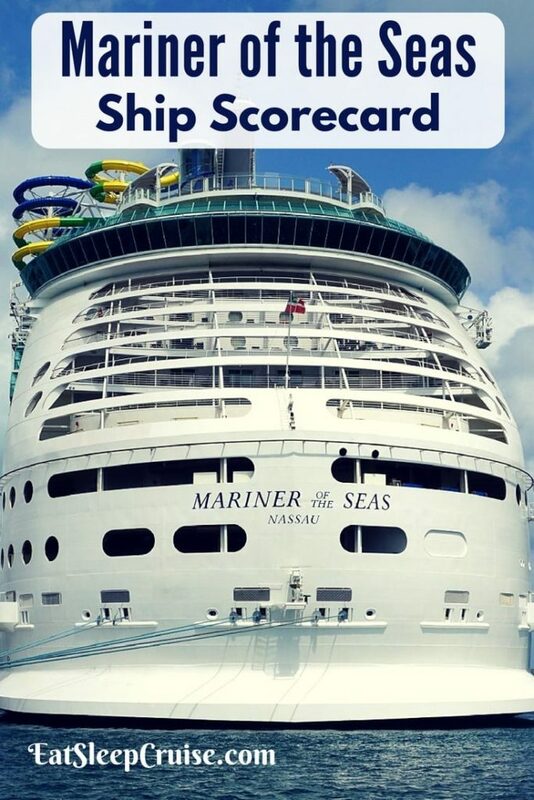 Our signature Mariner of the Seas ship scorecard provides honest feedback of the ship in all the important areas like food, entertainment, service, and more. On a 3-day cruise, it is all about the sun, relaxation, and enjoying a long weekend. 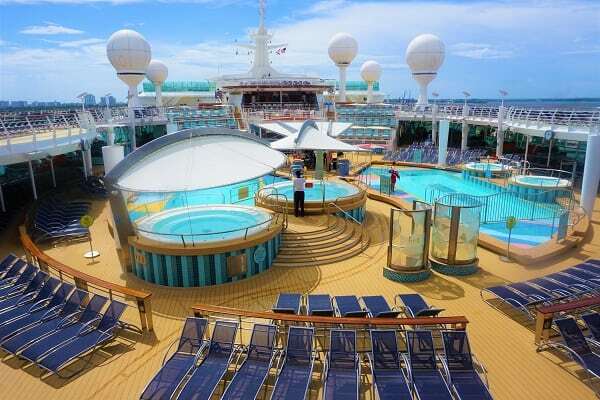 The Pool Deck layout is a bit tight, but the two pools, large whirlpools, and plenty of loungers directly above and on the pool deck are on par with other ships of this size. Compared to other vessels offering similar weekend getaways, this ship’s pool deck was able to handle the passenger demand. On a short cruise, you are usually visiting an island or purposely stay on the ship to avoid the crowds, so the cruise lines don’t plan too many daytime events. 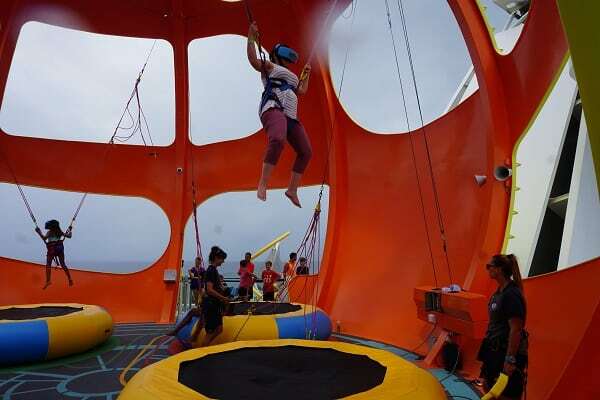 The planned events included plenty of trivia and a few other cruise staples like the Belly Flop Contest. During the stop at CocoCay, there were several daytime events and on-island fun that were complimentary. For us, a lounger, some frozen drinks, and background music were all the activities we needed to enjoy our stay. We had some high hopes for the updates to the Sports Deck. 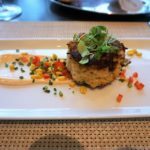 Luckily, they lived up to our expectations, and we were very impressed with the new and improved offerings. Compared to other ships in this class, like Adventure of the Seas, the redesigned sports deck is now the main attraction. The two Perfect Storm waterslides and the FlowRider are great alternatives to the pool. The new Sky Pad was also a fun and interactive activity that was well worth the wait, not to mention complimentary. Other add-ons like the new mini-golf course made for plenty of outdoor activities on Mariner of the Seas. The staff on this mega-ship provided adequate service. Our stateroom attendant, Sumei, was very friendly and talkative, and definitely a standout when it comes to service. The restaurants and bars seemed a bit understaffed though, with moderate wait times during peak hours. Given that these weekend getaway cruises tend to be a bit more of a party crowd, we would have liked to see more staff. More often than not, we ended up going to the bar ourselves as there was no waitstaff in the lounges. 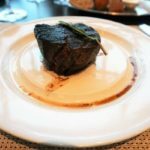 Given the duration of the cruise and the new specialty dining venues, the Princess and I decided to dine in all specialty restaurants on this cruise. The casual dining on Mariner of the Seas was a mixed bag. We liked the quick service snacks at Cafe Promenade, which included morning pastries, pre-made sandwiches, and pizza, along with a few other new additions. The Dog House is a great addition to the ship as well. 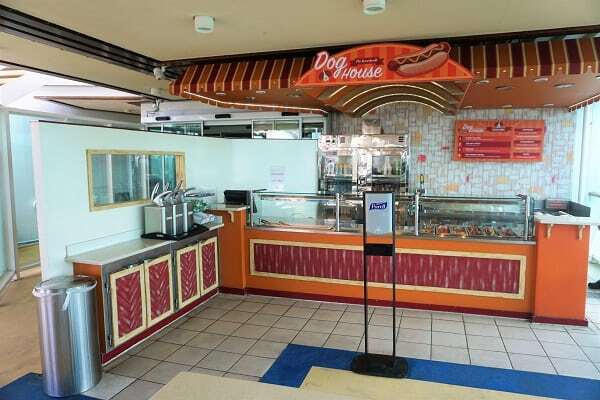 With that said, the Windjammer buffet on Mariner of the Seas was a bit lackluster. The food selections were redundant, and the food lacked flavor. We were surprised by the less than expected quality and diversity. The venue itself has been modernized and has a nice flow and design aesthetic however. With the addition of new specialty dining venues on the ship, we skipped the main dining room on this trip. Our Chops Grille experience was as expected, with professional service and well-prepared food. Jamie’s Italian was a little hit and miss with our menu selections but overall a pleasant experience. Izumi Hibachi Experience is also new to Mariner of the Seas. 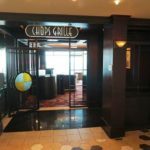 Having dined at similar venues on competitor cruise lines, the restaurant met our expectations. We also sampled some appetizers at Playmakers, which has an a la carte menu, and we thought the food was worth the additional cost. Mariner of the Seas offers your typical nighttime activities including live music, game shows, and parties. There were regular performances by musicians including acoustic pub music, piano music, and Latin-inspired dance music. There were also game shows like the Battle of the Sexes and the Royal Caribbean fan favorite, the Quest. 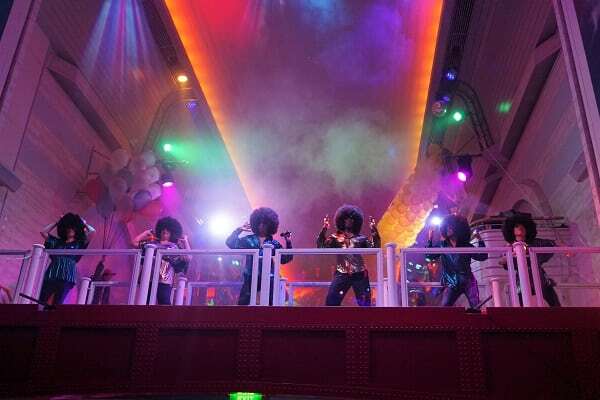 Each night there was also a themed party, including a 70’s and 80’s party and a Red Party. Squeezing everything into 3 nights is difficult, so the Princess and I were forced to stay up past our bedtime! The one area that did surprisingly disappoint was the main theater entertainment. It just wasn’t very diverse or entertaining. 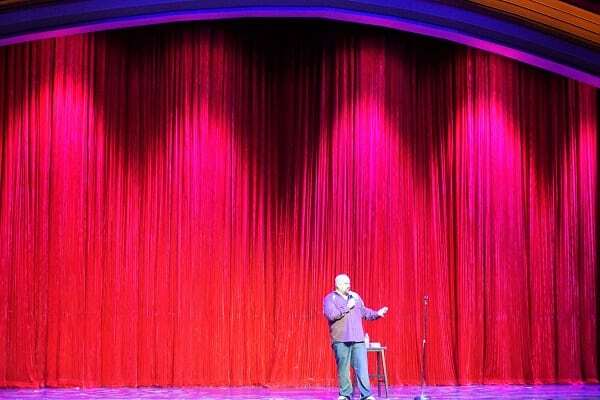 The first show consisted of two comedians, which we had actually already seen on other RCI cruises. The second night was a Police tribute band, and the third show was a second performance by one of the comedians along with a mini production from the Royal Caribbean singers and dancers. None of these shows were well attended at all. Even the packed ice show felt like it could have used some technical upgrades, though it was the best show of the cruise by far. While Royal Caribbean spent over $120 million to spruce up the ship, they did not do much to the staterooms. The rooms have the same look and feel as other ships in this class and time period. Still, our Spacious Balcony stateroom was clean and had plenty of storage with a typical layout that was easy to navigate. In fact, compared to some balcony rooms on other line’s newer ships, this stateroom was actually more open and spacious. 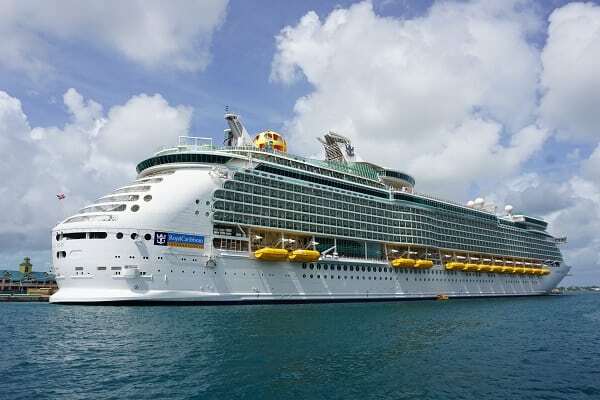 Mariner of the Seas features Royal Caribbean favorites including the Schooner Bar, Boleros, and an English Pub. 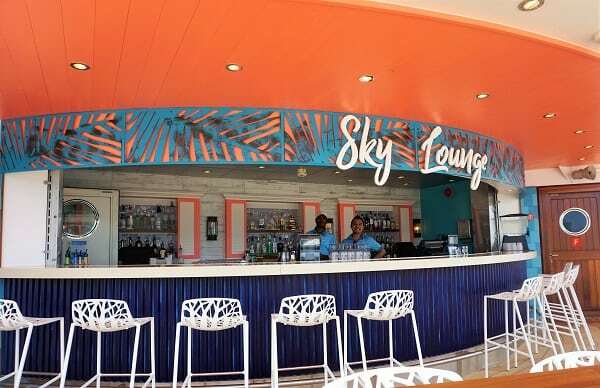 As part of the ship’s refurbishment, two new themed bars were added. 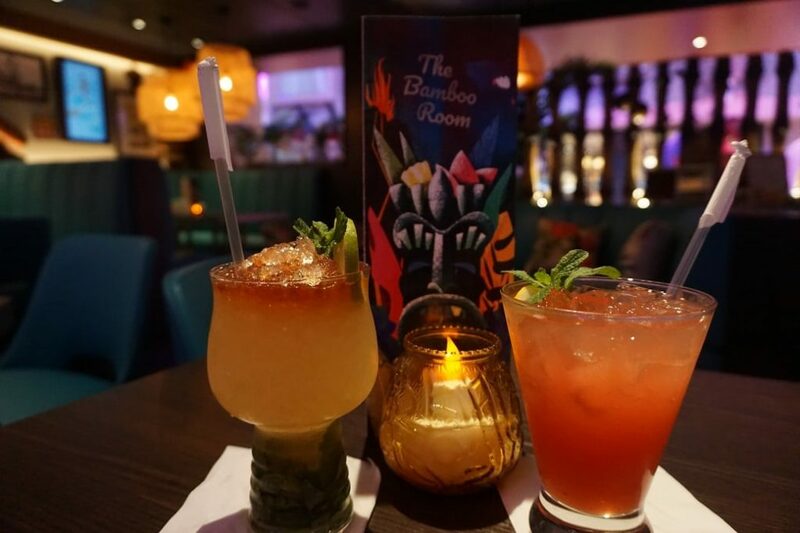 The Bamboo Room on the Royal Promenade served up some of our favorite drinks on the ship. Some of the specialty cocktails here do cost an additional $2 over the drink package allotment. Also on the Royal Promenade is the Playmakers Sports Bar. This venue offers a wide beer selection and a handful of signature drinks. While we enjoyed these new venues and drink options, they were somewhat understaffed. Having sailed on Mariner’s sister ship, Adventure of the Seas, we felt Mariner of the Seas did a better job of handling the crowds. Whether it was that the ship was not completely sold-out or that the new venues and activities helped to disperse the crowds more evenly, we never felt that anything was too busy. Of course, there were still waits at peak times but that is to be expected on any ship. Overall, the ship met our expectations for a Voyager-class ship. With diverse bars, new dining venues, and amplified onboard activities, Mariner of the Seas delivers a great cruise experience. The fact you can have this mega-ship experience while sailing three and four day Bahamas routes makes the ship a game changer. Compared to other ships across brands that sail these itineraries, Mariner of the Seas exceeded our expectations of what a short cruise can entail. We would certainly recommend this cruise to those looking for a quick getaway. Mariner of the Seas embodies what we have come to expect from the line’s larger ships. We would certainly take another cruise on this ship given the price point and onboard options. We are already talking about another trip in 2019 once the new Perfect Day CocoCay is finished being built. 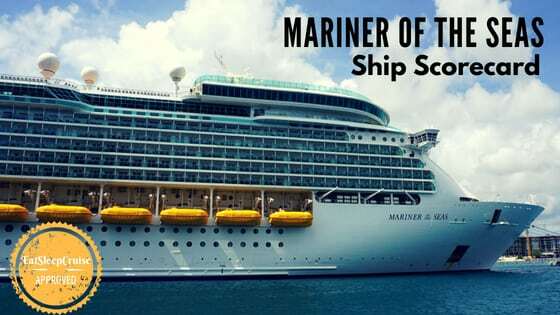 Do you have plans to sail on the newly amplified Mariner of the Seas? What do you think about all the new additions? Drop us an anchor below to share your thoughts on this recently updated ship! Just heard your review on Cruise Radio and was excited because I’ll be going on Mariner next month for my first RC cruise. Also hearing your review made me home sick, I’m from New England as well. Thanks for the review and I look forward to checking out your site. Hi Ray, thanks for the comment. How was your Mariner cruise? We would love to hear your review of the trip. Thank you for all of the good information. One other question- does Mariner have a track (for running/walking)? Thanks for all of the good information. I have just one question- does Mariner have a track (for running/walking)? Sorry for the duplicate post- I didn’t realize the first one went through!